장혜진, 전영자,(2016).대학생이 지각하는 내·외향성과 대인관계만족도가 스마트폰 중독에 미치는 영향.한국생활과학회지,25(2),137-152. The purpose of this study was to determine is to find the effect of introversion·extroversion and interpersonal satisfaction on smart phone addiction perceived by university students. 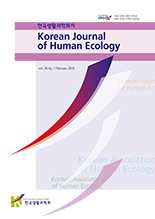 In order to perform such research purpose, A survey was conducted targeting 536 male and female students in universities located in Seoul, Busan, Changwon, and Gimhae., Korea. The results of the study are as follows. First, this study had higher rates of respondents of this study belonging to addictive group compared to 2013’s survey conducted by National Information Society Agency. Specifically, 69.6% of respondents were in the general user group and 30.4% of respondents were in the addictive group (14.2% were in the high risk group and 16.2% were in the potential risk group). In 2013’s survey, only 18.1% of university students belonged to smart phone addictive group at 2013’s survey. Second, the degree of smart phone addiction showed a significant (p ＜ 0.05) difference between introversion group and extroversion group, with the extroversion group showing higher tendency of addiction. Third, smart phone addiction showed significant (p ＜ 0.05) differences among interpersonal satisfaction groups. Higher tendency of addiction appeared in more satisfied group. Fourth, factors that affected smart phone addiction included gender, allowance, introversion·extroversion, general relationship, and relationship with friends. Specifically, female students, extroversion group, spending more pocket money, and higher satisfaction in general relationship and relationship with friends were found to have smart phone addiction. Bae, J. H. (2005). The effect of user's personality(introversion-extroversion) on interpersonalcommunication media uses : Face-to-facecommunication, internet and mobile phone uses.Communication Sciences Research, 5(3), 303-336. Chang, H. J. & Son, H. J. (2014). A study on the SNSuse patterns according to the Big5 characteristicsand physical condition. 9th KEEP Conference,9(21). 464-487. Cheon, H. J. (2008). A study on the factors affectingmobile phones addiction : Focusing on usagepattern, personality, interpersonal characteristics.Master thesis. Konkuk University. Cho, H. M. (2011). Introduction of digital media andconsequent new risk types : Focusing on riskcharacteristics of smartphones and analysis onusers’ risk recognition. Doctoral dissertation.Sungkyunkwan University. Cho, J. H. (1984). A study on the adjustment problemsof high school students in school life. Masterthesis. Chonnam National University.